If you’ve been looking for the perfect addition to a garden where space is already in short supply, you’ll simply love this pretty flower planter and bird bath combo. it’s a perfect demonstration of the fact that even where there’s limited space to work with, you can still make your garden an absolute masterpiece! 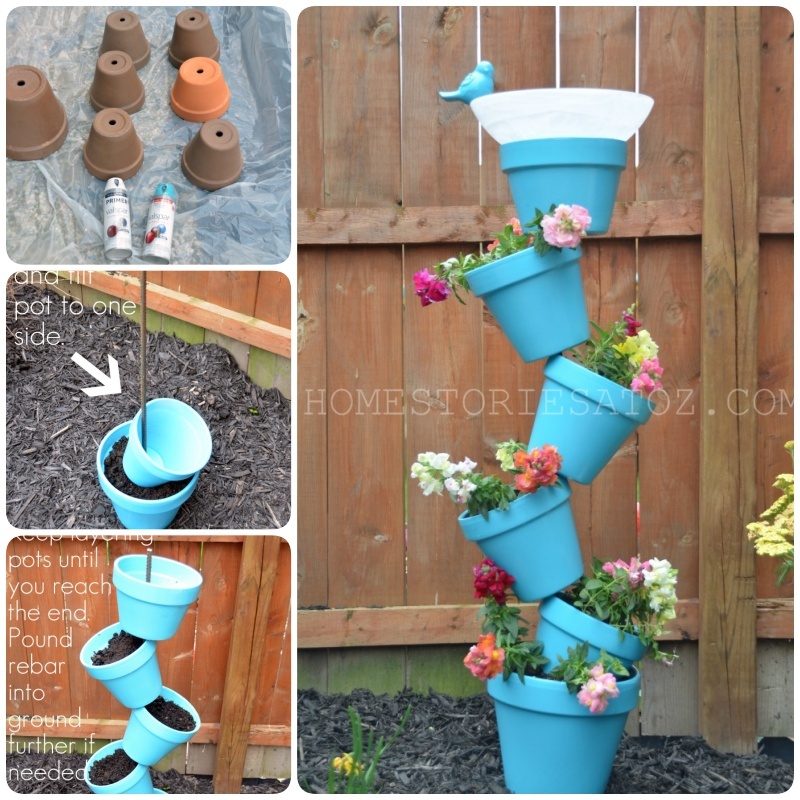 It is a wonderful tower of pots which features a full five planters for the flowers of your choosing and even a cute little bird bath at the top! Best of all, you only need a few basic (and cheap!) supplies to make it at home, so it won’t cost you nearly as much as a standard store-bought planter. It’s also simple to make. Prime all of your pots and then spray paint them in whichever color you choose. 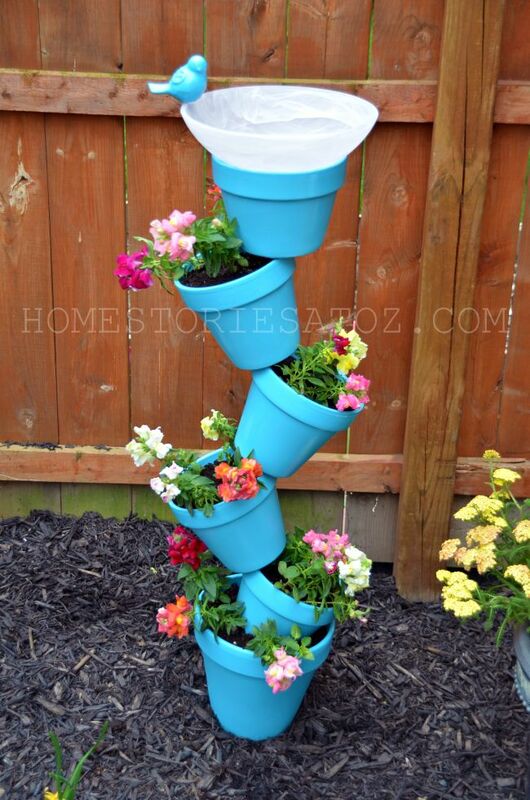 You will now love the fun color for the garden! Little ceramic bird or other cute ceramic animal (optional).